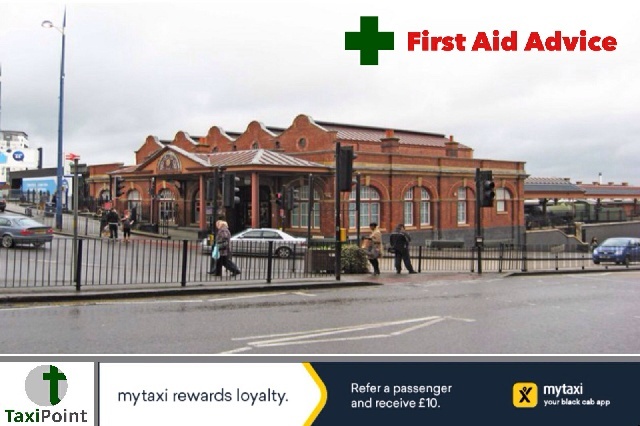 A Birmingham taxi driver has been spayed in the face with an unknown substance after ordering a group of 3 men and 1 woman to not queue jump at a taxi rank outside Birmingham's Moor Street Station at around 9:45 Saturday night.One of the men pulled out a small canister and sprayed it into the face of the driver causing a burning sensation. The gang then ran off leaving the driver to attend hospital to be treated. Luckily for the driver, his injuries were not considered to be serious. This isn't the first incident of it's kind where a taxi driver has been attacked with a noxious substance. Last year TaxiPoint reported a similar incident that took place in Newcastle where a 24 year old man was sentenced to 4 years for spraying a burning substance into the face of 47 year old cab driver. If you are ever present at such an attack the NHS has put together a quick an easy guideline together to tackle the initial injuries; Report. Remove. Rinse. Report; report the incident immediately by calling the emergency services. Remove; remove any items of clothing that have or may have been contaminated.Rinse; rinse the effected areas with plenty of clean cold water. For a more in depth guide, you can download the NHS ADVICE AND SERVICES right here. First Aid for burn attacks.